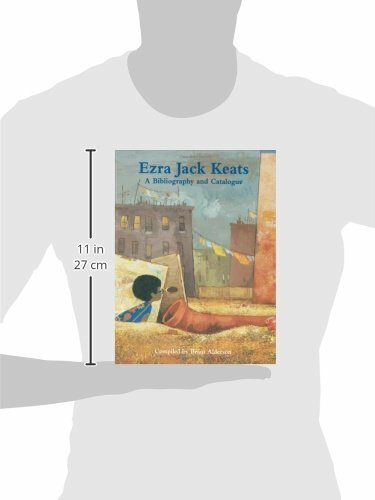 A companion to Alderson's Ezra Jack Keats, Artist and Picture Book Maker, this study also serves as a stand-alone reference book. We need more books like this, a thoroughly comprehensive guide to the output of an important twentieth-century illustrator/author. Alderson is in full anorak mode here in his examination of the Keats archive at the University of Southern Missi-ssippi's de Grummond Collection. As well as Keats' paintings and illustrations, the book includes all manner of bits and bobs such as juvenile drawings, sketchbooks, letters, roughs, dummies and photographs. Keats' overall output was uneven. A commercial artist in the true sense and a highly skilled designer and draughtsman, some of his work stands happily alongside the best twentieth-century American graphic art. But too often it slips into sentimentality and slickness of characterisation. He was also something of a stylistic magpie, turning easily to Ben Shahn social realist mode one minute, as in his cover for John Henry, an American Legend, and into Barnett Freedman Tolstoyesque the next, as in the Plaza Lithographs. But Alderson's marathon is full of fascinating contextual detail, as he brings his vast knowledge to the job, frequently commenting on the unworthiness of some of the texts with which Keats was working, for example, 'EJK heroically does what he can with this unlikely material, giving his best, as always, for the dog.' The book's only major shortcoming is its design. For a book about an artist whose work is so sensitive to good book design, this is a real shame. The layout is messy, the front cover typography sits poorly with the image, and at times it is difficult to know which text column one is supposed to be reading. Good design is vital to a book such as this. Victor watson's Cambridge Guide to Children's Books in English is an example of how well it can be done.